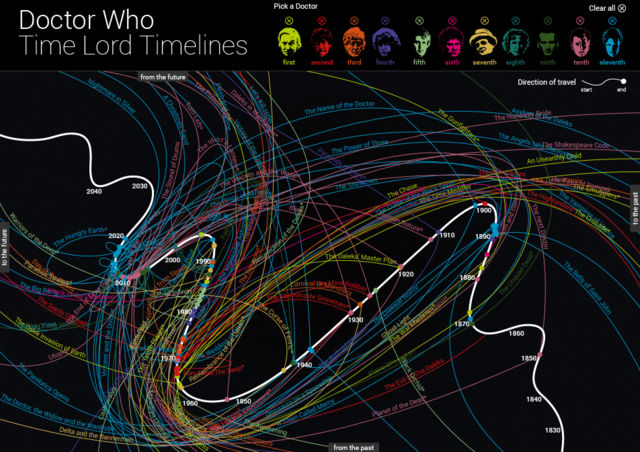 To celebrate the 50th anniversary of Doctor Who, BBC Future has created an interactive timeline that maps all the time travels of the Doctor and his companions. You can click on any of the eleven Doctors’ timelines for information, photos, and even video clips from the episodes. Visit BBC Future to explore the wibbly-wobbly timey-wimey timeline for yourself.